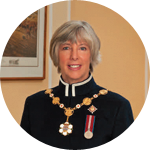 The Honourable Judith Guichon was sworn-in as the 29th Lieutenant Governor of British Columbia on November 2, 2012. Prior to this appointment she owned and operated Gerard Guichon Ranch Limited in the Nicola Valley in the British Columbia Interior. The Guichon family has ranched in the area since 1878 and Her Honour’s father-in-law was awarded the Order of Canada in 1974 for his leadership in Cattleman’s Associations and his contribution to agriculture in Canada. Two of her four children now manage the ranch with a 700 head cow calf and 700 yearling operation. Her Honour studied Holistic Management, a farming method which promotes sustainable management of livestock by emphasizing their natural habitat. Along with her late husband, commercial pilot Lawrence Guichon, she introduced Holistic Management to the ranchers of British Columbia. Her Honour was also involved in several organizations. She served on the local hospital board and Community Health Council and was on the Community Health Foundation board. Prior to this, she served as a 4-H Leader and started a recycling society in Merritt, B.C. with neighbours. She also served as a director for the Fraser Basin Council of B.C., director of the Grasslands Conservation Council of B.C., member of the Nicola Water Use Management planning committee and played the flute in the Nicola Valley Community Band. Prior to her term as Lieutenant Governor, Her Honour served on the Provincial Task Force on Species at Risk and completed a two-year term as the president of the British Columbia Cattlemen’s Association. She has also been a part of the Ranching Task Force for B.C. and the British Columbia Agri-Food Trade Advisory Council. Her Honour is the Honorary Colonel of the Rocky Mountain Rangers and honorary patron of over 90 organizations in British Columbia. She holds an Honorary Doctorate of Laws from Vancouver Island University. Born in Montreal, Quebec, and raised on a farm near Hawkesbury, Ontario, Her Honour moved to British Columbia in 1972. She and her husband, Bruno Mailloux, maintain a residence in the Nicola Valley. 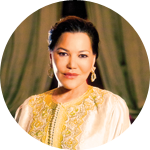 Her Royal Highness Princess Lalla Hasnaa is the daughter of His late Majesty King Hassan II. She is the youngest sister of His Majesty King Mohammed VI. Her Royal Highness was born in Rabat on 19 November 1967. She has two daughters: Lalla Oumaïma and Lalla Oulaïa. From an early age, and thanks to her education, Her Royal Highness Princess Lalla Hasnaa has shown an interest in social issues, particularly those relating to the environment. In 1999, her father, His late Majesty King Hassan II, realizing that environmental issues would become critically important and need to be addressed without delay, entrusted Her Royal Highness with the mission of protecting the Kingdom’s beaches and ensuring their cleanliness. Therefore, she launched the programme “Let’s make our beaches smile”, which later became the “Clean Beaches” programme. In 2001, His Majesty King Mohammed VI set up the Mohammed VI Foundation for the Protection of the Environment and appointed HRH Princess Lalla Hasnaa President, thus providing her with an institutional framework which enables her to demonstrate her full commitment to environmental protection. This commitment is directed towards children’s education and also towards coastal areas, for which Her Royal Highness carries out well-planned action. As a result, in October 2007, she was appointed “Coast Ambassador” by the Euro-Mediterranean Regional Programme for the Environment, backed by the United Nations. Her Royal Highness Princess Lalla Hasnaa has gained extensive experience and is often invited to share it abroad at high-level meetings, such as the 27th Session of the Governing Council of the United Nations Environment Programme, held in February 2013 in Nairobi, at which Her Royal Highness was Guest of Honour, and the UNESCO World Conference marking the end of the 2005-2014 United Nations Decade of Education for Sustainable Development (DESD), in Nagoya, in November 2014, where Her Royal Highness was Guest of Honour. This sharing of experience with UNESCO led, in April 2016, to the signing of a partnership agreement for the new Decade of Education for Sustainable Development. In October 2016, Her Royal Highness Princess Lalla Hasnaa was the FAO’s guest of honor for the World Food Day. She delivered a speech underscoring the need for agriculture to adapt to climate change to feed a constantly growing world population. At the 22nd Conference of the Parties (COP22, Marrakech) to the United Nations Framework Convention on Climate Change (UNFCCC), held in Marrakech in November 2016, Her Royal Highness Princess Lalla Hasnaa chaired Ocean Day and Education for Sustainable Development Day. Through her action in favour of the environment as President of the Mohammed VI Foundation, HRH Princess Lalla Hasna shows her strong commitment to education and awareness-raising, doing her utmost to help people understand, care and share. Her action for the environment reflects her commitment as a mother to bequeath a sustainable world to future generations as much as to her own children. – The “HASSANATE” Association for Human Development. Her Royal Highness Princess Lalla Hasnaa has represented the Kingdom at various events abroad, particularly in 2015 and 2016. Her Royal Highness represented His Majesty King Mohammed V at the Signing Ceremony of the Paris Agreement on Climate Change, held at the UN Headquarters in New York on 22 April 2016. She also read out the Message addressed by His Majesty King Mohammed VI to the first Mediterranean Concert, at the Palais des Nations in Geneva, on 9 July 2016. Her Royal Highness inaugurated the Kingdom’s Pavilion at Expo Milano 2015 and presided over the ceremony celebrating Morocco’s National Day, on 23 May 2015. On behalf of His Majesty the King, she received the “Martin Luther King Jr – Rabbi Abraham Joshua Heschel,” Freedom Award given posthumously to His late Majesty King Mohammed V on 21 December 2015 in New York. 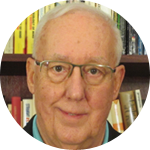 Milton McClaren is an Emeritus Professor in the Faculty of Education at Simon Fraser University where he teaches in the Ed.D. and EcoEd MEd programs. 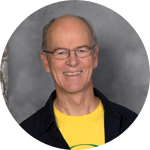 He is also an Associate member of the Faculty of the School of Environment and Sustainability at Royal Roads University where he supervises Masters students in the Environmental Education and Communications program (MAEEC). On 1 April 2015, United Nations Secretary-General Ban Ki-moon appointed Elliott Harris as Assistant Secretary-General and Head of the New York Office of the United Nations Environment Programme (UNEP). 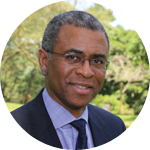 Mr. Harris joined UN Environment as Director of the New York Office and of the Secretariat of the UN Environment Management Group (EMG) in September 2013. Prior to joining UN Environment, he worked as an Economist in the IMF from 1988 to 2013, gaining extensive policy and programmatic experience in African and Central Asian countries, as well as in the Fiscal Affairs Department on public expenditure policy issues. From July 2002 onward, Mr. Harris served as Advisor, Chief of the Development Issues Division, and Assistant Director of the IMF’s Strategy, Policy and Review Department. From September 2008 until May 2012, he was also the IMF’s Special Representative to the United Nations, and was closely involved in interagency collaboration in the areas of social protection, green economy, and fiscal space for social policy. From September 2009 until October 2013, he was the Vice Chair of the High-Level Committee on Programs (HLCP) of the UN Chief Executives Board for Coordination. I am a social anthropologist and education planner with extensive experiences in design and implementation of education programs in the area of science education, technical and vocational education, girl’s education, education for sustainable development, education for sustainable consumption and climate change and DRR education. I have worked for the United Nations Education Culture and Science Organization (UNESCO) for 20 years in Kenya, France and coordinated programs in several other countries in Africa, Asia and Latin America. I also worked for the Global Monitoring Report for Education For All. I am currently the team leader of the Education for Sustainable Development programme at UNESCO. I hold a MA in Social Anthropology as well as a MA in Education. Ms. Ekaterine Grigalava is a Deputy Minister of Environment and Natural Resources Protection of Georgia since 2015. She is in charge of key national environmental policy directions, including climate change, waste management, water, land and mineral resources, protected areas, environmental education, etc. Moreover, she is responsible for elaboration of environmental policy and development of international relations and cooperation with partner countries and organizations in the field of environment. Prior to her current position, Ms. Grigalava has developed an interesting and extensive career. Starting from 2002 she has conducted managerial work at the National Democratic Institute (NDI) dealing with project management, civil programs, as well as gender equality and leadership issues. 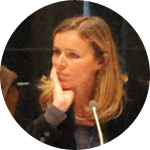 She has gained significant experience in the field of management and consulting during her work at Trans Adriatic Pipeline (TAP) in Switzerland and Georgia. Ms. Grigalava holds MA in Public Administration from Georgian Institute of Public Affairs (GIPA) and has established an impressive professional networks as a fellow of Central Eurasia Leadership Alliance (CELA), Central Asia-Caucasus Young Leaders Fellowship Program (Rumsfeld Foundation) and has been a Visiting Scholar at the School of Advanced International Studies, Johns Hopkins University. 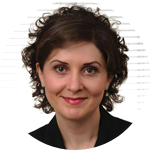 Tamar Aladashvili is a Deputy Head of Environmental Policy and International Relations Department at the Ministry of Environment and Natural Resources Protection of Georgia. 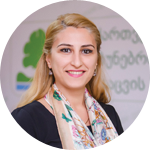 She holds MA in Sustainable International Development with specialization in environmental conservation and development from Brandeis University, USA and MA in Public Administration from Georgian Institute of Public Affairs, Georgia. Tamar is responsible for participating in policy making of key directions of environment and natural resource management as well as preparing respective key policy documents. She is committed to advocate sustainable development, green growth and environmental education activities at national and international levels. For several years Ms. Aladashvili served as eco-education specialist at the Public Relations Department of the Ministry, contributing to the development of youth eco-activities, educational and public outreach projects, environmental education training programs design for school children, students and teachers, and communication between the Ministry and its stakeholders. She also worked both at grassroots level as well as volunteering in various projects in US and Georgia in the field of environment, including clean energy solutions, emission analysis and environmental economics. Charles Hopkins has been engaged in EE since its inception in the 1960’s. 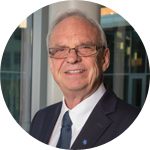 Currently, as the UNESCO Chair holder at York University in Toronto, he coordinates a network of teacher education institutions spanning 70 countries working on reorienting teacher education to address the SDGs and Education 2030. Hopkins is advisor to the United Nations University, UNESCO UNEVOC and co-director of the Asia Pacific Institute on ESD. Having coordinated research into how embedding sustainability issues within the curricula in schools across 18 countries enhanced education quality, he has launched similar research to improve the education and training of Indigenous youth in 35 countries. BILL DARNELL lives in Vernon BC. He is a life long educator and is active in protecting the water, the climate and building resilient, sustainable communities. He is a founder of Greenpeace and was a crew member of the first anti-nuclear campaign. A hands on grandparent, Bill is helping to raise the resilient, next generation.